Screwfix has announced that it will be expanding its offering of Erbauer tools to give tradespeople and serious DIYers greater choice and value. 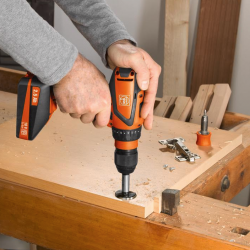 Having launched new cordless grinders, and a hammer drill earlier in the year, FEIN is extending its product range. Screwfix has introduced its much-anticipated catalogue full of tools, workwear and essentials from the likes of DeWalt, Bosch and Titan.